Sanfilippo syndrome is a genetic error of metabolism. It is a mucopolysaccharidoses, an MPS disorder, MPSlll. Mucopolysaccharides are long chains of sugar molecules, which are used in building connective tissues. When the body is finished using these molecules, it breaks them down, with enzymes, and disposes of them. Children with Sanfilippo syndrome are missing or are deficient in the enzyme to break down the molecules. Instead, the body stores these molecules in the cells.This storage causes progressive damage. 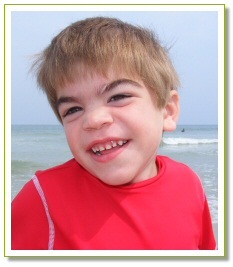 There are four different types of Sanfilippo syndrome. Each type is different and named according to which enzyme is missing or defective. Sanfilippo syndrome is a progressive disorder, meaning that at birth the children appear typical and do not show signs of the disorder. As the disease progresses the children degenerate, losing the ability to speak, walk, eat and eventually lose their lives. In the first stage of the disorder it is noticed that the child lags behind and develops behavioral issues. In the third stage the child begins to slow down. They have difficulty walking, falling often eventually losing the ability to walk altogether. Most children experience seizures, joint stiffness, upper respiratory infections, hearing loss, dementia, hyperactivity, aggressive behavior, severe intellectual impairment, partial paralysis, growth retardation and vision impairment. The current life expectancy is 10-20 years. The Sanfilippo Children, documentary | 2011 “This is the story of children with the Sanfilippo syndrome, and their families…” A documentary directed by Marie-Fleur Stalder. Voice: Frederic Pollier, Music: Patrick Muller. With the support of the Sanfilippo Foundation and the Swiss Lottery. This video is real life and real families.